A solitary loggerhead turtle in the middle of a vast ocean may not sound like an adventure film, but stick with her. Along her 9,000-mile voyage to nest, our loggerhead tour guide in Voyage of the Lonely Turtle encounters hammerhead sharks, deep ocean tempests, and man-made death traps in the form of fishing nets and hooks. Her body of well-suited armor and specialized adaptations for deep-ocean dwelling will help the sea turtle evade many of the ocean’s menaces. But this is just one set of challenges to overcome. Here is another: she must find her way across the Pacific, from Mexico to a small stretch of beach in Japan, a precise location that she has been to just once before, as a two-inch hatchling, decades ago. Researchers have learned a great deal about how this curious creature could make such a phenomenal voyage. Some of the most valuable information was gained from a single voyage. Scientist Wallace J. Nichols released the captive loggerhead turtle, Adelita, into the Pacific a decade ago. Over the course of a year, Adelita did what no sea turtle had ever done before, she took researchers and turtle enthusiasts along on her journey, to her beach, to nest. 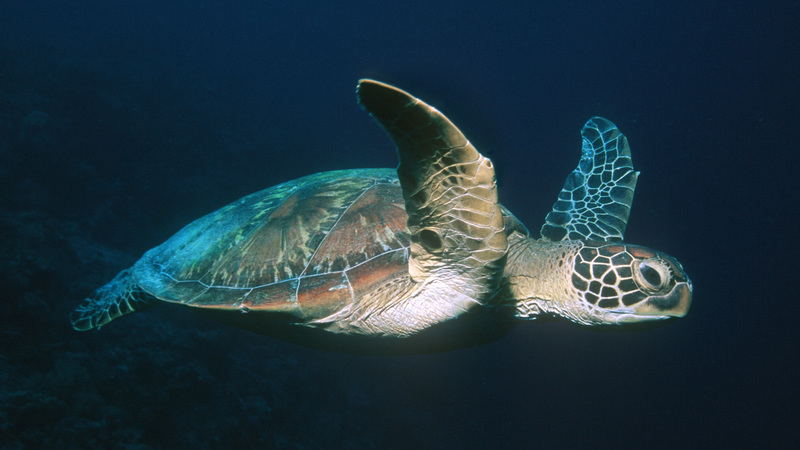 Since then, researchers have shed much light on how sea turtles like loggerheads navigate the astounding trip. One of the more fascinating aspects of this navigation is the turtle’s use of magnetic mapping to chart its course. (c) 2007 BBC All Rights Reserved. A Co-Production of Thirteen/WNET New York And BBC. (c) 2007 Educational Broadcasting Corporation. All Rights Reserved.